A key to the success of any restaurant is controlling food costs as it directly impacts profitability. Successful restaurants always look for creative ways to protect their bottom line and reduce costs without compromising on the quality aspect. The costing of the restaurant can primarily be controlled by reducing the pilferage, efficiently managing human resource and paying careful attention on the purchasing of food items. Despite its importance, many restaurateurs do not create a regulated process of purchasing food items. In fact, one of the key reasons why many restaurants fail is because of poor planning and not paying enough attention to possible cost saving opportunities. To run a restaurant well, it becomes of paramount importance that receiving raw material from the market is accurately recorded, invoiced and reported. When there is no clear record of what items are coming to the restaurant, there can be no room for any analysis to prevent waste. A streamlined and efficient purchasing process can greatly contribute to reducing costs and bring uniformity and consistency. Moreover, it can provide complete control on all the purchasing that is happening at the restaurant. The first step in improving the purchasing process involves standardizing the items required for production. Having a prepared and standardized list helps the restaurant avoid unnecessary pilferage and extra expenses. In fact, one of the main reasons why many leading international QSR food outlets have lower food costs in comparison to independent restaurants is because of their commitment to standardization, sourcing and consistency. Successful restaurants always look for creative ways to protect their bottom line and reduce costs without compromising on quality. It is also the reason how QSR outlets such as McDonald’s, Subway, Domino’s are able to offer a value for money and consistent guest experiences in each visit. Therefore, after menu finalization and preparing the standardized recipes, the critical step for a restaurateur should be to identify and finalize ingredients with exact specifications. The restaurateur needs to give careful consideration to procurement, raw material quantity, ordering the right quantity and storage. To make purchasing easier, all items should be categorized by the type of product, for example dairy products should include only related item list such as milk, eggs, curd etc. with their exact specifications. Such segmentation helps staff responsible for placing orders easily itemize and quantify current needs. The operation’s standardized recipes can be used to work out the specific items required for production and estimate the number of servings. To ensure higher profit from the menu, it is important that the restaurant uses the ingredients optimally and limit waste as much as possible. Usually it is the responsibility of the manager to place and document day to day orders and receive supplies and serve as quality control. Each restaurant may have its unique system customized to its needs, but generally it is advised to ensure the person ordering is different from person receiving the items to avoid any unnecessary pilferage/losses. It is not merely enough to ensure clear record of all in-comings and out-goings from the restaurant. There should also be system where all the items are correctly reflected in the invoices and the rates charged are in accordance with the agreed rate. Many times it happens when the discounted rates fixed by the vendor are not delivered and if there is no auditing of bills, there will be extra expenses. Also,the quantity ordered and received at a restaurant may be different when the vendor does not completely fulfill the order and it becomes essential to verify that the invoiced quantity. For restaurants without a clearly designed and formulated purchase management system, there is often too much time devoted to verifying supplier bills. There is also often a lot of guesswork and estimation involved in the process. Fortunately, the growth of digital advancements and technology have made it extremely easier to practice all the above steps with greater ease and comfort.
. Technology can play an important role and help in creating an efficient framework for restaurant operations. When the order details are requested, approved, received and invoiced in one single cloud-based platform that monitors and tracks every step, the entire process gets automated and it creates efficiency in the system. When all the purchasing is recorded digitally, all the data can be cultivated and provide clear and actionable reports. Moreover, it can instantaneously account any discrepancies whenever there is a variation in prices of any items of vendor bills. Not to mention, it ensures clear communication with the vendor and restaurant, where all the orders are given electronically via email and SMS instead of verbal commitments over the phone. The simple benefits of using such cloud-based technology can certainly help restaurateurs reduce category spend, control price variance, save considerable time, and rely less on inefficient manual processes. The overall mindset, product offerings, food supply, and communication are bound to change with technology sooner than later. It’s high time for restaurant to begin streamlining purchasing via digitization and reap the reward of efficiency and savings. Zeffu was designed to automate and streamline the entire purchasing process and let restaurateurs simplify their entire B2B operations. 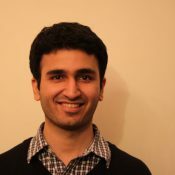 Sahib Gulati is the Co-Founder of Zeffu Technologies. Zeffu is a fully customizable cloud based solution for independent restaurateurs that brings efficiency in the restaurant’s back end operations.